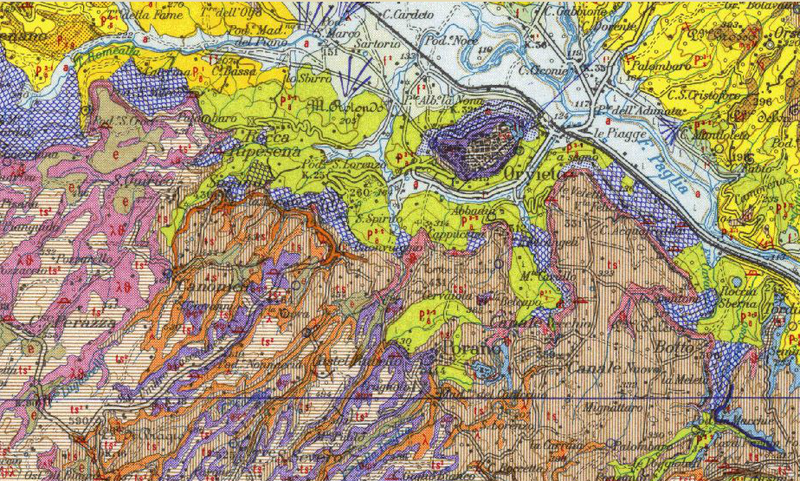 This is a geological map of Orvieto territory. All the diverse soil contours are highlighted with different colors. The darker dot on the map is historical Orvieto at 320m above sea level on a volcanic rock. All around are the zones of wine production of our interest. In order to understand the current geological map, we need to go back to the natural events that have characterised Umbria region about 200 million years ago. During this time the sediment formation of the Apennines mountain range laid on an ancient ocean called Tetide (from Thethys the name of a sea goddess ). This sea divided two continents, which afterwards, through the movements of the earth, became closer together. The pressure caused by them, pressed the ocean floor, like a carpet against a wall, lifting the sediments at the bottom until they appeared out of the sea (these are called sedimentary rocks,). 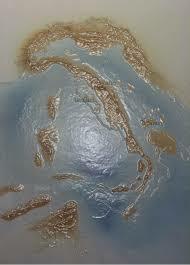 Eventually the two continents came to a collision and Tetide disappeared for ever. After the collision time, followed a so called”relaxing” time, where big ground depressions formed. This era corresponds to the Pliocene era (5.332 million to 2.588million years ago) when the sea, rich of seashells very similar to the current Indo-Pacific ocean, stretched up to the new mountain range, until the current Paglia valley (see the map below). Volcanic eruptions followed, the lava and the tuff (or volcanic rock) formed the rock where Orvieto lays today. 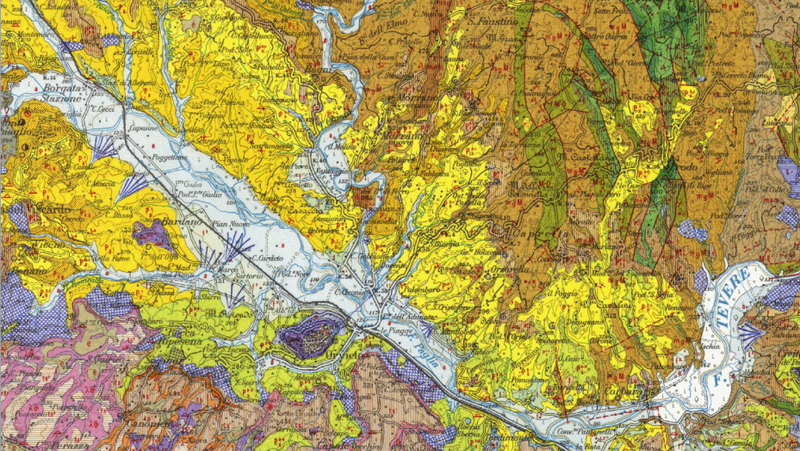 From our geological map the area marked in yellow is characterised by sand stone, clay and fossils. The vine’s roots can easily reach the subsoil to gather nutrition and enrich the future wine with minerals. The wine is elegant, well balanced with a good equilibrium. The zone marked in pink has volcanic origin with stratification of tuff. Here the wine is deep, rich of substance, profound, capable of ageing. The light green zone around Orvieto is marl (a mix of limestone and clay). The light blue area is schist (metamorphic rock that can be split into thin layers). Iconic vineyards from South Australia. My journey through Stage 2 exam.